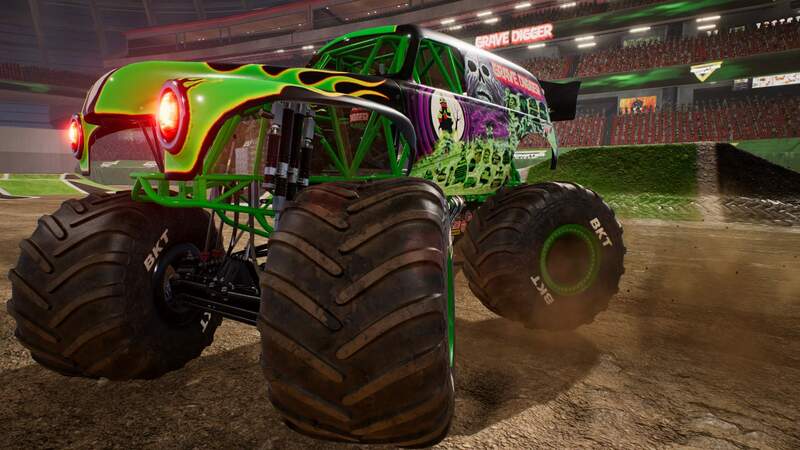 Pre-order for immediate access to three awesome Monster Jam trucks as soon as you load the game! Start BIG like the pros! 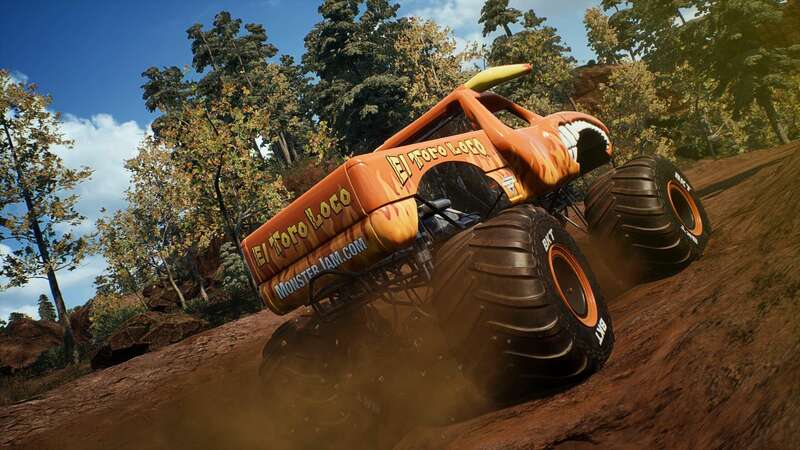 - Drive a MONSTER! 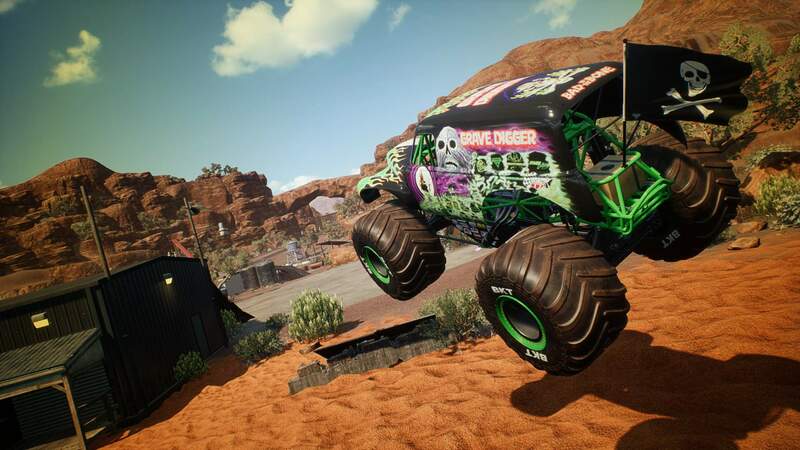 Compete with 25 of the most popular trucks including Grave Digger and Max-D! - Total destruction including breaking body panels, deforming junker cars as well as demolishing the environment! 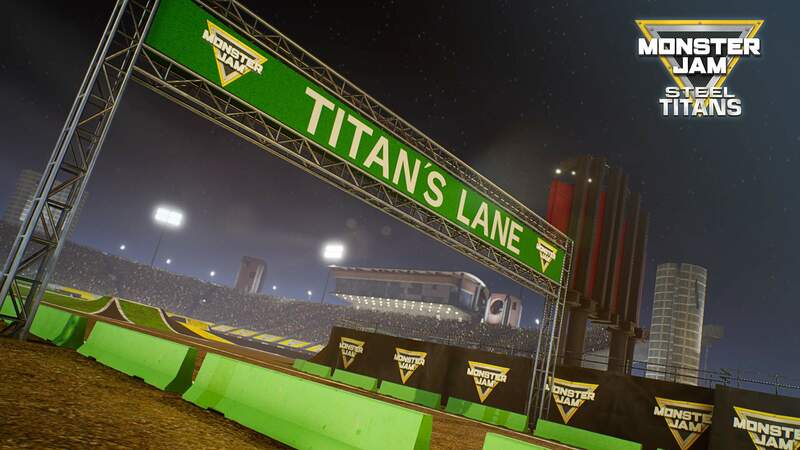 - Perform your favorite stunts! Bicycles, Stoppies, Moonwalks, Walk Its, Cyclones, Pogos, Power Outs and Back-Flips! 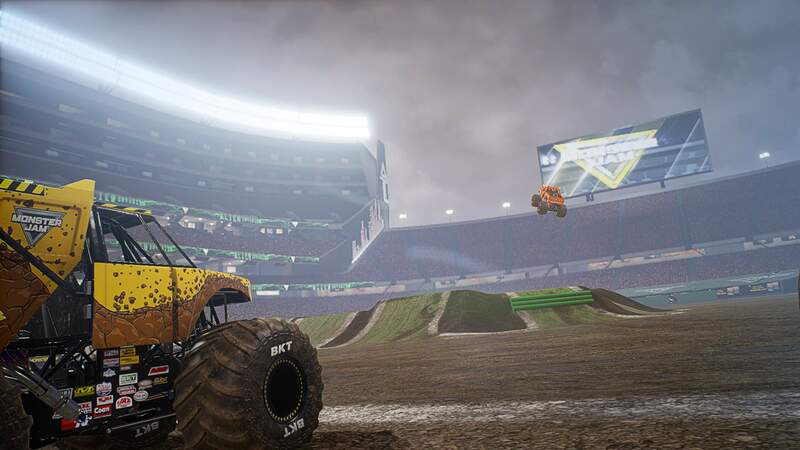 - Hear the roar of huge crowds inside 12 stadiums packed with fans on your road to the Monster Jam World Finals! 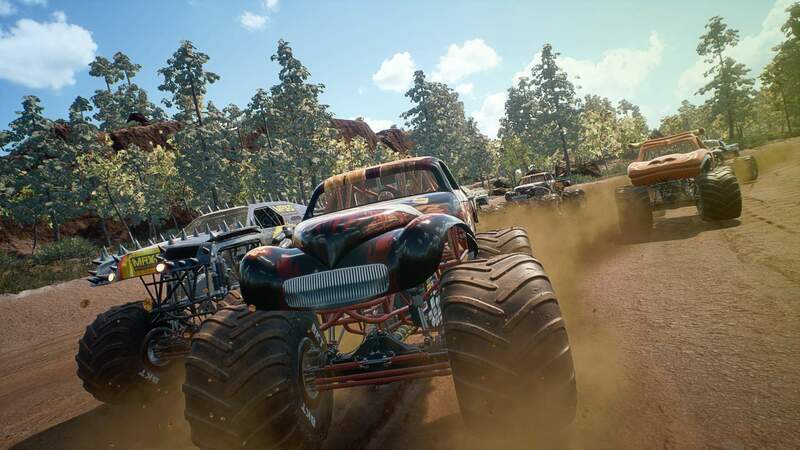 - Explore and smash through the environment in a Massive Outdoor World! 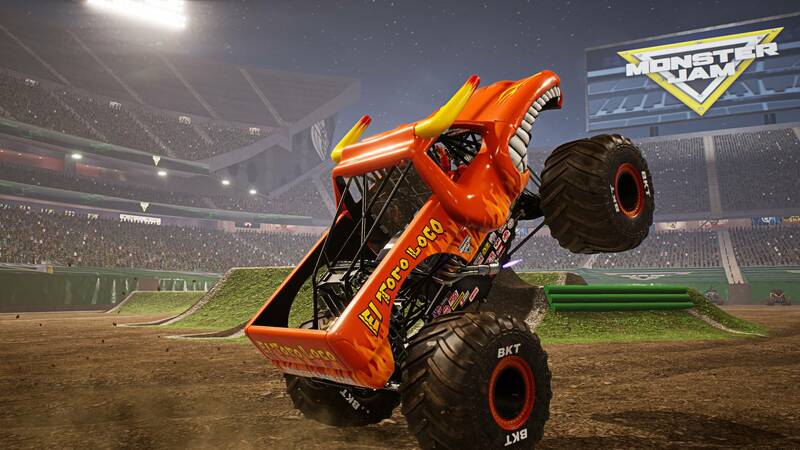 - Train just like your favorite Monster Jam pro driver at Monster Jam University! © 2019 THQ Nordic GmbH, Austria. Developed by Rainbow Studios. THQ, THQ Nordic and Rainbow Studios are trademarks of THQ Nordic AB, Sweden. All rights reserved. 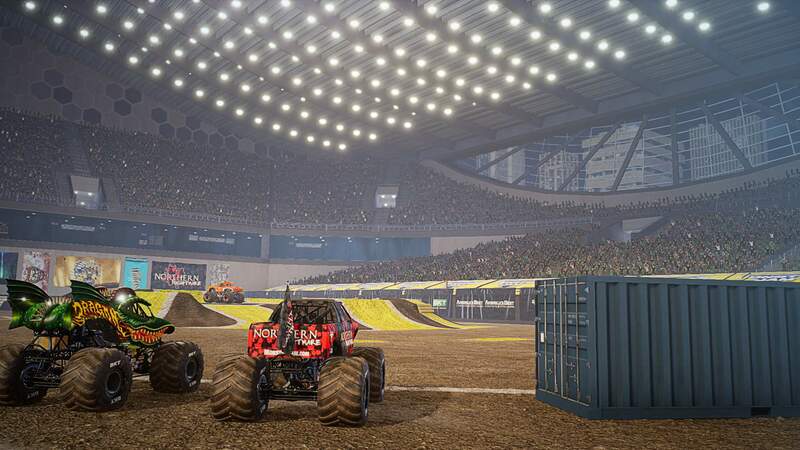 © 2019 Feld Motor Sports, Inc. MONSTER JAM™, ALIEN INVASION™, CAPTAIN&apos;S CURSE™, DRAGON™, EARTHSHAKER™, EL TORO LOCO™, GRAVE DIGGER™, MAXIMUM DESTRUCTION™, MAX-D™, MEGALODON™, MOHAWK WARRIOR™, MONSTER MUTT™, NORTHERN NIGHTMARE™, PIRATE&apos;S CURSE™, SOLDIER FORTUNE™, SON-UVA DIGGER™ and ZOMBIE™ are trademarks used under license by Feld Motor Sports, Inc. All rights reserved. All other trademarks, logos and copyrights are property of their respective owners.